She was born on December 12th, 1938, in Dupnitsa. She started her acting career at the age of 18, at the Yamblo Thater in the mid 1950s, without any special theatrical education. Her debut in cinema was the film 'Years of Love'. She had more than 50 great film characters. She was awarded various film awards. 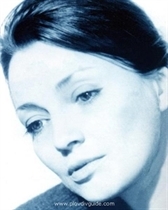 Nevena Kokanova died on June 3rd, 2000, at the age of 61.